The Near Witch is many different stories. It is a high fantasy set long ago. It is in the style of a traditional folk tale. It is a story of a girl rebelling against the idea that she should be "ladylike." It is a tale of the love between a father and daughter, a mother and daughter, and between sisters. It is a burgeoning romance. It is a quintessential small-town book that showcases the nosiness, gossipyness, and superstitions of people who know each other too well and are closed off from the world. You know the saying "correlation does not equal causation?" The Near villagers in this novel forgot that, as most of us do from time to time. When an unknown boy arrives in the town of Near, tongues start wagging. A new person is a cause for fear not celebration in this narrow minded, easily frightened community. These fears seem well-founded when local children begin disappearing in the night soon after the boy arrives. Lexi does not succumb to fear. She seems to think and do the opposite of what everyone expects her to do, most of all her strict uncle. She senses that the stranger is not the demon people fear. Lexi strides off on her own to find the boy and discover the actual cause behind the children's disappearance. I loved Lexi. She is persistent and brave. She sticks to what she feels is right regardless of societal consequences. She has an innate sense of who to trust - even if those people are the town outcasts. She is caring and protective of her little sister. Lexi's curiosity leads her to Cole. Curiosity soon turns into a partnership then friendship and then something more. Their romance was subtle yet sweet. I liked Cole very much. He always remains something of a mystery, but I enjoyed seeing his character slowly revealed to Lexi and to the reader. It's hard to put into words exactly what I liked about him. It was more of a feeling than anything else. I suppose one could argue that his character wasn't developed well enough. That may be true, but it wasn't crucial to the story. Cole was sufficiently developed and Lexi was extremely well developed. The quality of the plot, prose, and setting were more important than character development. The prose in The Near Witch was stellar. It was beautiful, lyrical - literary quality. Through Schwab's words, I was transported to the dark, mysterious small town of Near. It read like the fairytales of old. I think it would make a great read-aloud. Even better, the prose never overshadowed the story. This often happens with books where the author clearly puts a lot of effort into "pretty writing." The story was slow, but consistently held my attention. 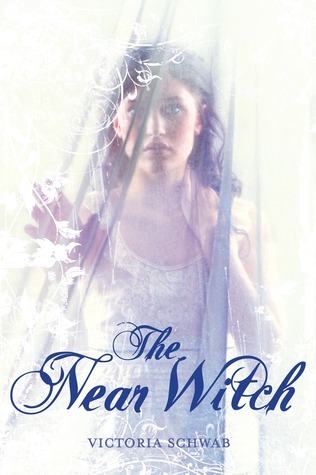 I'd definitely recommend The Near Witch for a classic folk tale. This one sounds awesome! I love reading folk tales, and the fact that you say it's a combination of many different stories woven into one, well, it just has to have a place on my TBR~! Thanks for the awesome review Alison! I really want to read this book. Heard many fab things about it. Love anything with a folk tale. Thanks for the amazing review! I really need to go out and get this book. I've seen nothing but awesome reviews for it, and it sounds a little different then what I normally read. I have this one on my TBR list, but I'm waiting until closer to Halloween!! It seems like the perfect late October read. Thanks for the great review, you've definitely reasserted my desire to read this one! This is such a fabulous book, glad you loved it too. It would totally make a great read aloud, now I wonder if there is an audio of it! My library FINALLY ordered this book! I can't wait to read it, it sounds like a really great read. :) So glad you enjoyed it! Thanks for sharing your review! I can't wait to read this one! Yes, I've heard a lot of raving about the prose in this book. That alone makes me excited to read it. But I've also stumbled across of really negative reviews for it. It seems like the kind of book you either love or hate. I don't mind a slow book as long as it holds my attention. The growing relationship between the hero and the heroine sounds sweet. I plan to read this one near Halloween. For some reason, it has that eerie Victorian feel to it. Everyone talks about the prose in this book. It certainly does sound like it would be great to be read aloud! I hope to read this soon. Great review! I agree completely about the pose being so wonderful! I didn't "read" your review because I haven't read this yet and I don't want any knowledge of what it's about. I just had to come say that I'm glad you liked it. It gives me hope that I will like it. Now, I just need to get to it. I was a bit bored by the pacing in this one, but the writing was GORGEOUS. I'll definitely check out other books by the author in the future. I'm so glad you liked it! I love the way you described it in your first paragraph. There really is a lot going on, and I feel like the more I think about it the more little things I notice. Oh, I just found this review by chance and the cover immediately caught my interest. Love the blurb, love your impression of it and I'm going to get this book!! seriously, this sounds exactly like my cup of tea.